50% SUN FROST, same as a direct dt. of Sun Frost. TRUE BLUE roan. Stud prospect. First time foal and what a pretty girl. Bred to win. BIG, stout filly. Will get 15.3h or better. Compact, muscled up. 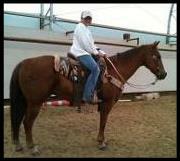 Full sister breakaway horse– VERY quick, stout, cowy. I kept a full sister last yr. Ton’s of brains and pedigree you can’t beat. Bred to RUN! An old mare’s last colt so smaller and needs some TLC. 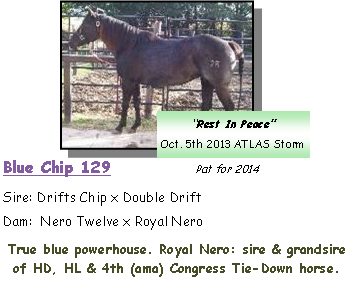 Drifts Chip is a NFR producer, sire champ. roper, lot’s of muscle on this colt! A knockout colt with lots of muscle. Bred to rope & ranch w/PROVEN lines. Top WCH, rope or ranch pedigree. 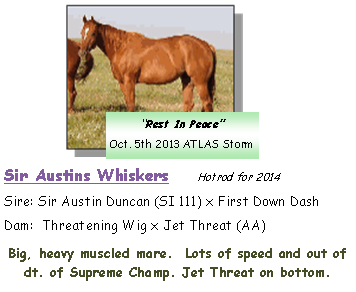 Sire and grandsire World Show horses! Emma– (black donkey). True sweetheart! 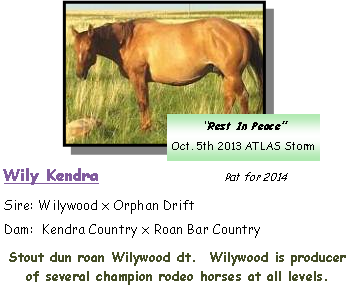 Dam’s sire is highest % Driftwood stud in the U.S. Sire ROM rope! BLUE Valentine bred thru and thru! Born late but catching up well. GORGEOUS liver chestnut. FOUDATION champions all thru his pedigree.